Preheat your oven to 450F. Spray a baking sheet with non-stick spray and lay your salmon fillets on the sheet skin-side down. Dollop a tablespoon or so of horseradish cream onto the salmon and spread it out evenly on the top. (No need to coat the sides.) In a small bowl, combine the panko, parmesan, parsley, and other spices. Mix thoroughly. Add in the oil and mix thoroughly again to evenly distribute the oil. 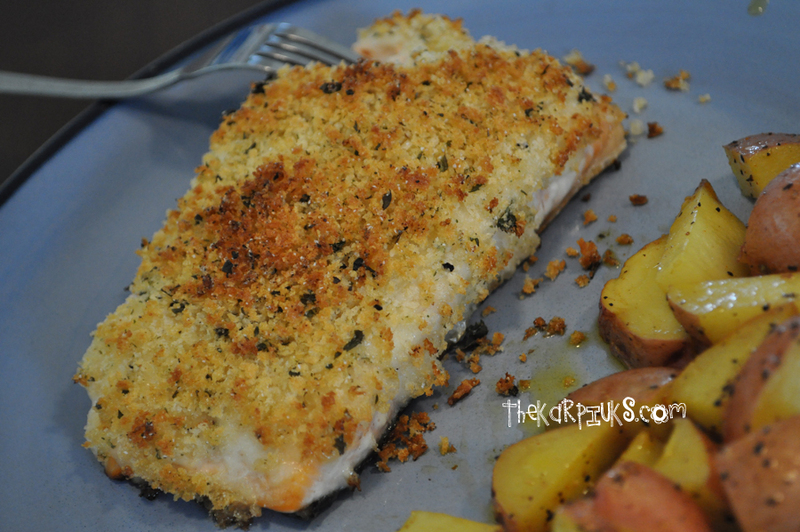 Sprinkle the panko mixture on top of the salmon and press it into the horseradish to help it stick. 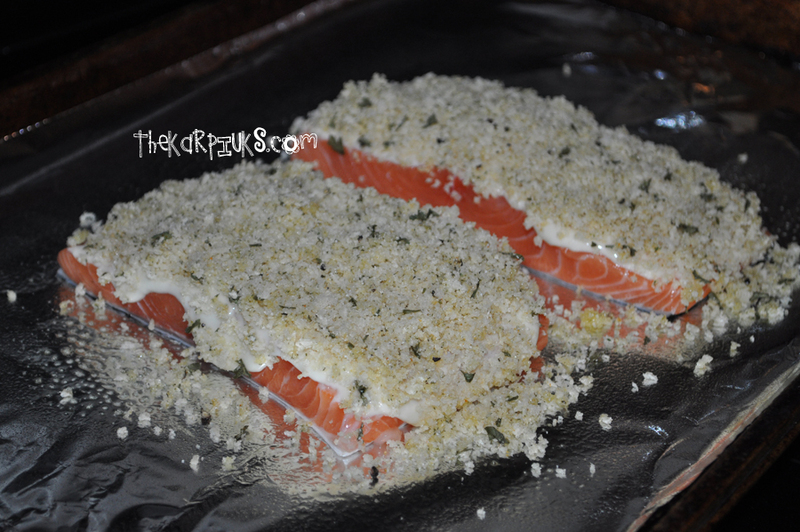 Bake your salmon in the preheated oven for about 10-13 minutes, depending on the thickness. Ours were around an inch thick and I made sure they were fully cooked. You’ll know it’s ready when the fish flakes with a fork easily. It’ll still be pale pink inside, but firm and no longer glossy.